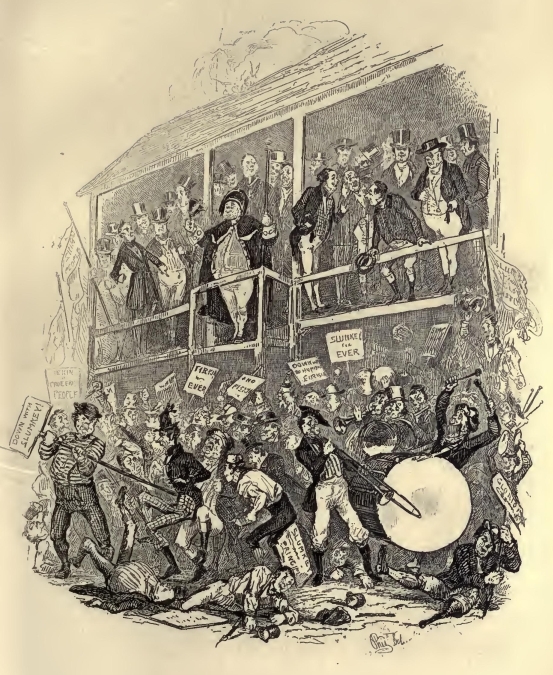 Ours won’t be quite as raucous as this scene from Charles Dickens’s Pickwick Papers, but it promises to be lively and fun. See you in the Hall at 7.30 on Friday, to meet the people who want our council votes on May 7. Get an idea of what’s in store for us; let them know what you’d like them to do for us. The more they hear from us, and the more we hear from them, the happier we’re likely to be with our city for the next five years. Our Next Councillors – Question Time! Here we go – the nominations have closed, and we have thirteen candidates standing to represent our ward on the Council for the next five years. Before you go along to the Hall to cast your vote on May 7, come along to the Hall next Friday evening, April 17, to our neighbourhood Council Hustings. Who gets elected to the Council probably has more influence on everyday life here than who wins the higher-profile parliamentary contest. This is our opportunity to ask our local government candidates questions face to face. We’ll start with the big ones: Who are you? Why do you want to represent us on the Council? And what do you hope to do if you’re elected? The parties standing candidates in Preston Park ward are the Conservatives, Greens, Labour, Liberal Democrats, and the Trade Union and Socialist Coalition. The majority of candidates have confirmed they’ll be taking part in the hustings, so we’ll have a wide range of views from the right to the left of the political spectrum. And we will have a bar. It will open at 7.30. However in line with modern electoral standards, candidates will not be able to ply voters with free drinks. 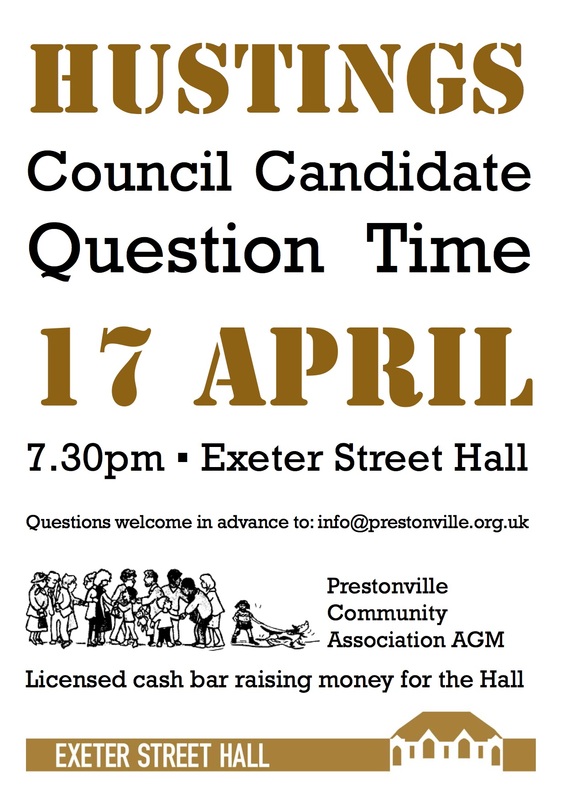 You can come up with questions on the night or email them in advance to info[at]prestonville.org.uk. Let’s make this a lively round of community democracy, Prestonville style. Should be fun! Tell your neighbours; see you Friday the 17th. There’s another post on the hustings over on the Hall blog.